"I really enjoy the Cheers - Tin. Such a beautiful bottle and a beautiful sister's tribute. I wouldn't normally choose a blend, however this combination of Garnacha and Tempranillo works so well. The result is a wine that is light, nicely sweet, and very drinkable. A go-to choice for any occasion." "We loved it and took some home! Our fave was the Zin! "The G.O.A.T. is probably my favorite so far. It's a full body earthy wine with a good intensity and smooth finish. It really is the greatest of all time! I definitely enjoyed the complexity of the blend. The Cheers - Tin: I keep wanting to describe it as flirty. It's got a fresh, lively start and a smooth finish. I feel like you could drink it with tons of things, ribs, seafood, pastas, etc. I especially liked how you incorporated your sister's painting on the label. Everything about this wine is an indication of your passion for winemaking. The Le Vigneron: I found this to be mellow and velvety and somewhat jammy. It was delicious, enjoyable and very drinkable." "Al and I love The Vine Yard wines! We each have different palates -- Al enjoys smooth, velvety wines with great texture, and I like big, bold flavors and complexity. The Vine Yard wines perfectly balance both. We have also found them versatile -- without any sacrifice of richness or flavor. They pair great with food and are an excellent choice for either a special occasion or a relaxing night at home. We are big fans. Keep up the great work!" "Heaven in three bottles!!! The first bottle was the one you tossed in since my order was sitting somewhere and that was the Le Vigneron and that was simply divine, we had that with chicken thighs smoked on the Traeger….I was sad when I finished it. Next was the G.O.A.T. and that one was pretty, darn yummy, you make us earn it with the wax or rubber on the bottle so after I conquered that, I was really happy when I got to taste it. That paired very nicely with the homemade mac n cheese and chicken we prepared. 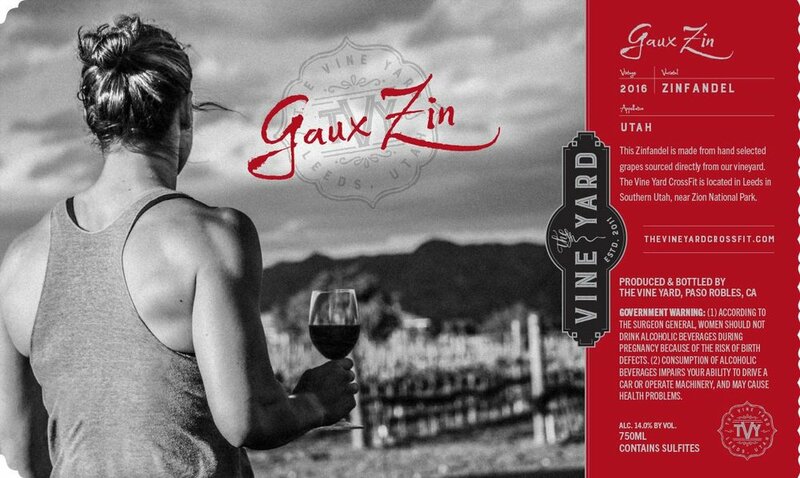 NOW I am working on the Gaux Zin (which Red Zins are my favorite). We had rib eyes last night and that pairing made me happy!! Not as bold of a red zin like Lodi, CA types, but it was velvet on the tongue and the fragrance was Zintasic!!! WE have a roast in the crock pot tonight and I can’t WAIT to have a glass with it!!!" I will most certainly be purchasing your wine from here on out!!! Not only that, you truly put sweat and tears into it and I love that!!! You enjoy what you do and that comes through in the finished product……AMAZING!!! "We thoroughly enjoyed a bottle of your GOAT during our celebration as everyone had agreed it may have been the best we ever had." "I ordered the GOAT wine. And I don't have an experienced enough pallet to really critique it. But from what my taste buds tell me, simply put, it was the best combination between a good dry wine and a good dessert wine. If that wasn't your attention, then I really need to drink more wine. Hahaha! 10/10 would by again ... And soon!" "My wife and I love GOAT and Cheers - Tin!!! We'll order more of that for sure." "This GOAT, is no joke! Excellent Red Blend perfect for drinking now but will age perfectly! Nice deep purple, high acid, smooth-velvety tannins that will only gain depth and complexity with age. Great dark fruit well Balanced, Length, Intensity and Complexity.. an Outstanding wine from The Vine Yard." "I love the wine and I want to plan a trip where I can train at the gym"